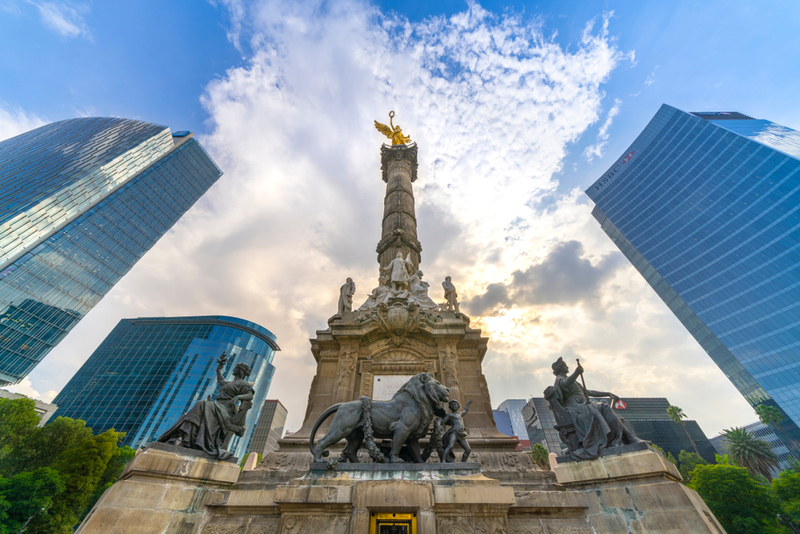 This past July, we headed south of the border to Mexico City for the first time and spent nine days exploring this fantastic, huge, cosmopolitan destination. We experienced so many wonderful things that we decided to split our travel coverage into two stories, focusing exclusively on hotels we stayed in for this first installment. Read on for our three favorite places to lie with another man—in impeccable style, of course. 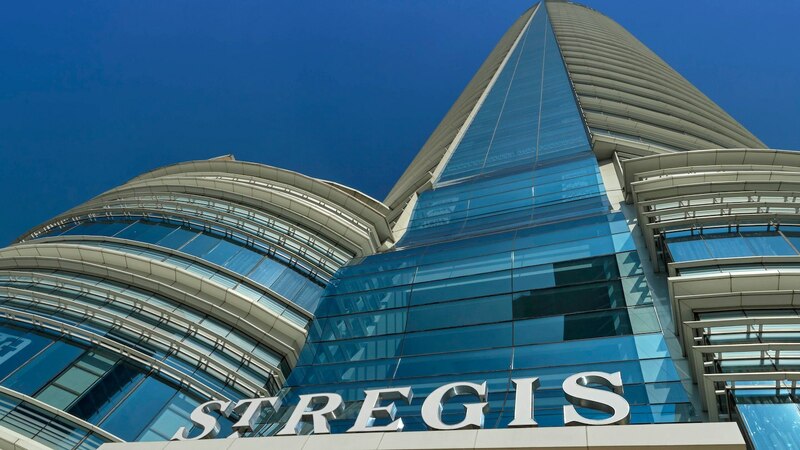 As for the hotel itself, the St. Regis brand promises nothing but the best. A glass of Veuve Clicquot at check-in washes away any travel-related stress upon the very first sip. Heck, as soon as the cork popped we immediately felt a sense of pure joy for the many days ahead. 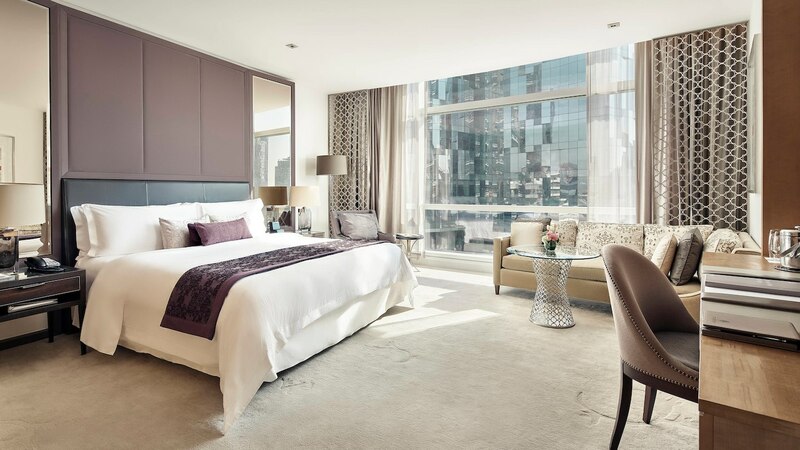 Once in your modern, well-appointed room, enjoy 24/7 butler service for anything from waking you up with morning coffee to pressing an outfit for a night out on the town. Hit the Remède Spa for an incredible combination of Prehispanic rituals as interpreted through a full body scrub, facial, massage and body wrap. In the locker room, unwind in a dry sauna or steam room, or head to the indoor pool and hot tubs overlooking the bustling street below. Seven dining options range from Mexican traditions at the elegant Diana Restaurant to modern classics in a more casual setting inside chef Jean-George Vongerichten’s J&G Grill. 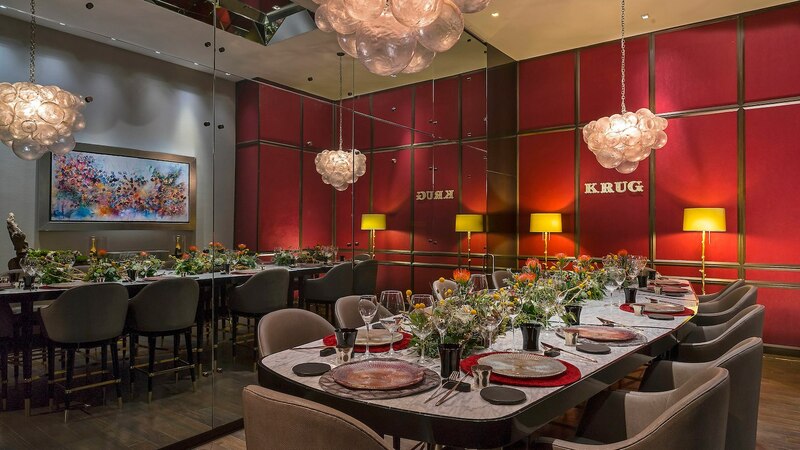 Or for the highest level of indulgence, procure a seat at La Table Krug for an exquisite tasting menu paired with Krug champagnes. Surprisingly, even in a high-end hotel like the St. Regis, you’ll find that drinks are pretty darn affordable, and even more so in local spots throughout the city. But trust us, you’ll likely never want to leave the building. For a more relaxed sophistication, head to the ritzy Polanco District, the “Beverly Hills” of CDMX (featured prominently in Netflix’s Made in Mexico) home to this well-appointed property. Guest rooms feature Mexican touches here and there for a subtle spin on traditional hotel decor. 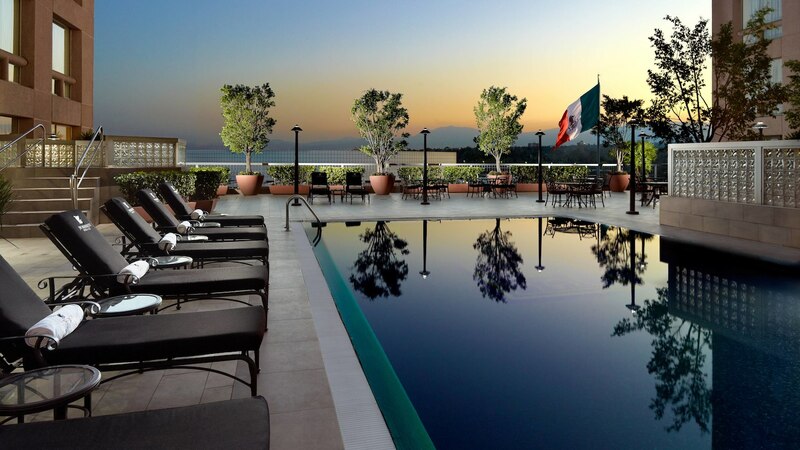 One of the key differentiators of this spot is the presence of an outdoor pool and large Jacuzzi, both with sweeping views of the city and majestic mountains in the distance. We can’t imagine ever needing to set foot in a fitness center in a walkable city like this, but should the weather turn foul or you want to pump some iron, this could be one of the most well-equipped hotel gyms we’ve ever experienced. 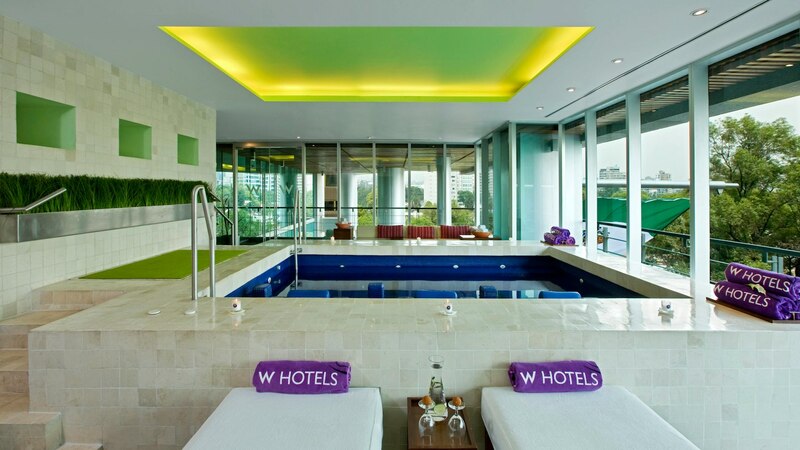 Plus, it offers two spa treatment rooms as well as access to a men-only steam room and sauna in the locker room. Best of all, you’re within walking distance of some of the greatest restaurants in the city, as well as parks, museums and world-class shopping. We felt safe 24/7, whether during early morning walks for cheap coffee at local shops to late night strolls after dinner and drinks. 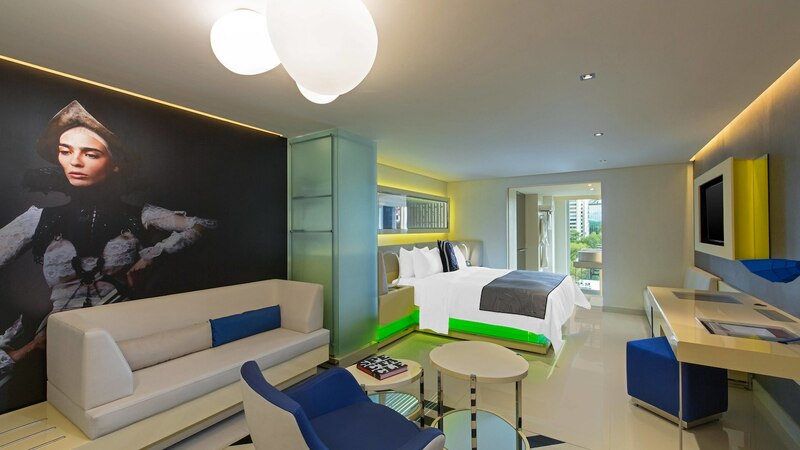 All with the comfort of knowing a cozy bed and warm shower were never too far away. 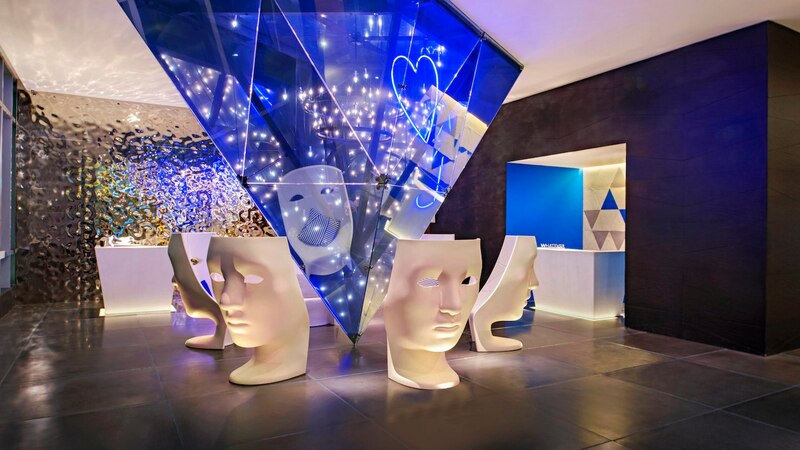 We hope we never get too old to appreciate the youthful energy and whimsy of the W Hotel brand because it’s impossible not to smile at every little detail from the check-in desk to the colorful Living Room Bar on the first floor of this Polanco District property located right next door to the JW reviewed above. There’s even a bar in the lobby-level restroom during certain events so you’re never too far from your next cocktail. 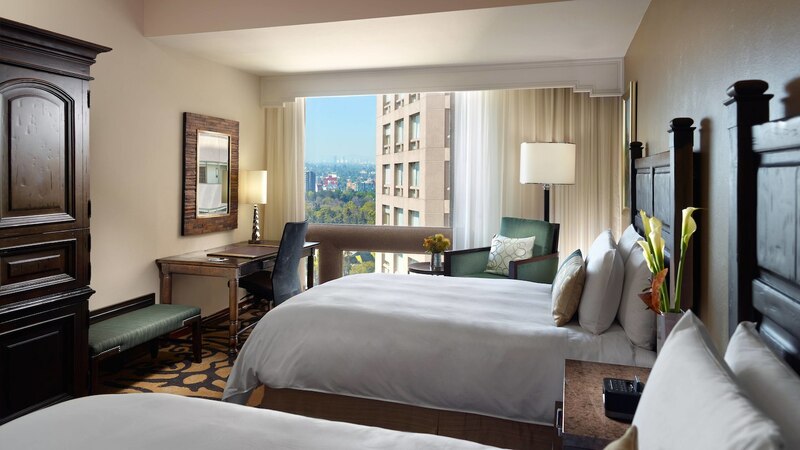 Upstairs in the guest rooms, dramatic works of modern art bring the Mexican culture to life in truly fun ways from wall-size photographs of models in various traditional fashions to vibrant carved spirit animals mounted inside infinity mirrors above the wonderful Heavenly Bed. A minibar has everything you could hope for (and then some), including a lucha libre masked wrestler bottle opener that makes a great souvenir or gift to the boozehound in your life. 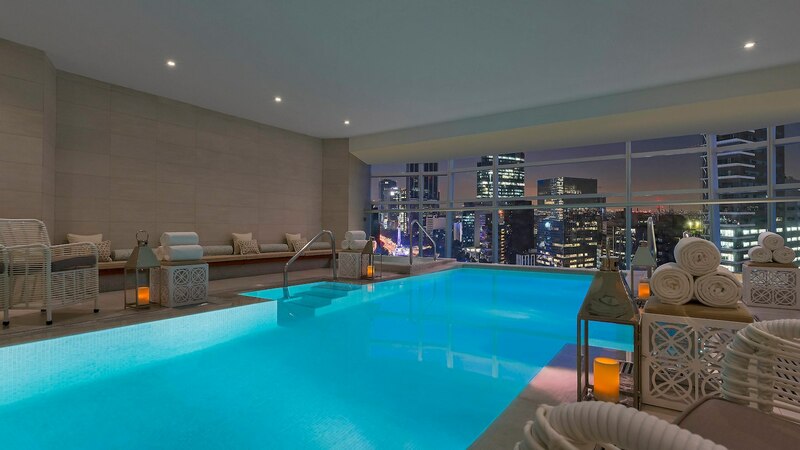 The lack of a pool feels almost insignificant after a visit to the large multi-person indoor jacuzzi overlooking the neighborhood from floor-to-ceiling windows in the Away Spa, adjacent to a small-but-well-appointed fitness center. We found ourselves perched in the hot tub many an afternoon after walking the city, either enjoy it alone or with new friends (everyone’s chatty in a hot tub!) If you prefer to heat things up differently, the spa also features the only indoor temazcal (sweat lodge) in the city. 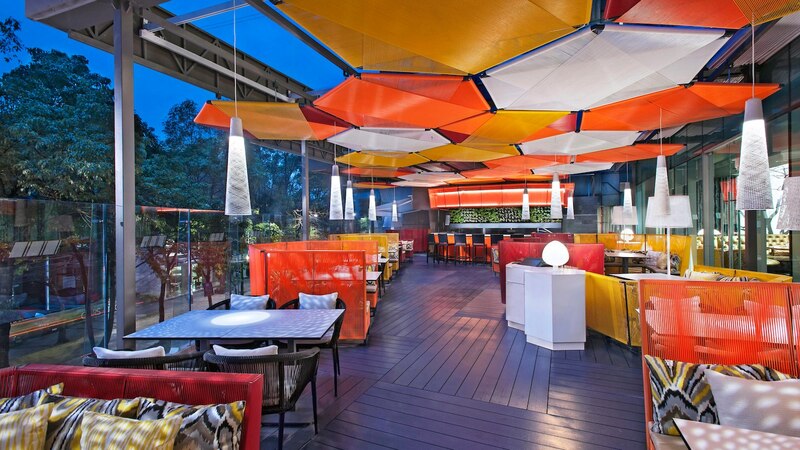 Of course, as food fanatics, the presence of J by José Andres, a tapas restaurant on-site makes the W Mexico City a definite spot for a repeat visit, even if we’re staying at another hotel. But something tells us we’ll be back for a few nights sooner than later. Because Mexico City as a whole now has a giant piece of our heart.